This semester, Rollins is one of only 30 campuses across the world to be working alongside the United Nations Millennium Fellowship program. Only 15 Rollins students were selected as fellows. The U.N. and its affiliates have called upon the 15 fellows to convene, challenge, and celebrate as they each focus on one project in association with a particular Sustainable Development Goal (SDG). The SDGs were created in an effort to change and improve the lives of billions of people by 2030. 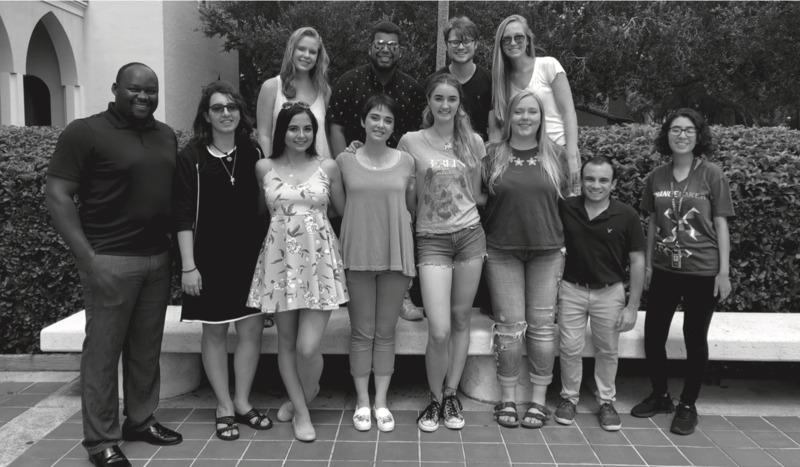 Each of the fellows’ projects will focus on working with a specific organization, both outside and inside of the Rollins community. For instance, Raul Tavarez-Ramirez (’21), an international relations and environmental studies double-major, will undertake SDGs like “promoting responsible consumption and production” and “promoting sustainable cities and communities” by hosting service activities and tabling events with EcoRollins, the environmental club on campus. Similarly, Gabbie Buendia (’19) is focusing on “promoting responsible consumption and production,” with the key word being “responsible.” She believes that each global citizen has a duty and a responsibility “to be conscious of our consumption and production patterns and to forge new, sustainable, and fair ways of doing them,” she said. Vickers hopes her research supports the Rollins belief that “life is for service” by helping local organizations receive the grants and funding needed to highlight and tackle discrimination in local communities. On the other hand, Colin Brant (’19) said he is preparing to focus on “reducing poverty in the Orlando area” by addressing poverty. Throughout the semester, students will be supported by Rollins staff and faculty as they work to achieve their goals. During the application process, Director of External and Competitive Scholarships Dr. Jay Shivamoggi played a major role in helping the students turn their dreams of becoming a fellow into a reality. The fellows will be assistance and guided by Dan Chong, assistant professor of political science, Patrick Odoyo, staff director of the social innovation and entrepreneurship hub, and Lord Family Assistant Micki Meyer. Rollins’ achievement of being selected to host the UN Millennium Fellows speaks to its reputation.